Every order you place creates a job for our Artisan Rollers and Bamboo Craftsman. 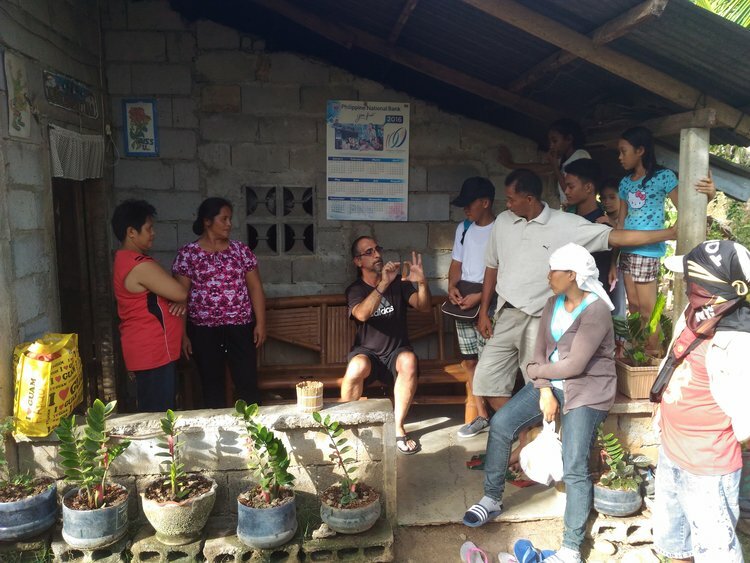 Being our company is the sister company of Dragonfly Bamboo, a Benefit Corporation, we follow the same principles of giving back to community, in this case in the Philippines. As our business expands we will expand to other islands where we will teach more groups how to produce our products and offer the opportunity to earn extra income. As things progress we will be doing more for the Barangay, (A Barangay is the native Filipino term for a village, district or ward), we work within. The best thing about this is they make 3 to 4 times more than they could normally. I don’t have to tell you they are happy about that. We work with two groups, who together produce our products. One group makes the Bamboo Tips and one group collects the leaves and rolls them. They are actually on two separate islands. About a 1hr ferry ride and 2hrs drive between them. The local bus company allows packages to be shipped on their bus routes. So its actually a pretty simple system which in fact is still within our sustainability concerns. The ferry system also allows packages. So from the bus to the ferry across the sea to the other island. The buses and the ferry run with or without us so that is a low carbon footprint overall even with transportation. When I arrived in the Philippines in 2012 I was introduced to Lomboy wraps. I immediately had the thought of Blunt Wraps in the US. Four years later it began. Originally we thought we could help the local women who roll them but we found the quality was just not up to standards within the industry. (See image below) So we began picking and drying the leaves ourselves. This includes Cleaning and preparing only the most healthy leaves. To ensure the quality of our wraps, we check for bugs and any other abnormalities. Having a degree in Horticulture has benefited us greatly with this project. Once we had a solid process we then taught it to our rollers, who have also come up with solutions along the way to perfect our product. Its not as easy as you think to roll the leaves into cones. We find that if someone can’t figure it out within 15 mins they will never get it. So maybe 3/4 out of 10 can do it. We have been lucky to find a talented group who is as excited as we are about this project and have really been dedicated to preserving the high quality of our products. Bahay Kubo is a type of stilt house indigenous to the cultures of the Philippines. While the original plan included locals who where already producing wraps to the local tobacco market, as mentioned above we just couldn’t control the quality. So instead of trying to teach an old dog new tricks we figured it would be better to teach others a new way. One thing to note: Our Blunt Cones DO NOT contain Tobacco. You can read more about our tobacco free wraps here. Back in 2016 while we were scouting for Lomboy trees. There were several places we knew where there were lots of trees. I actually have them all locked into my GPS. So along this long road we came across some locals and started explaining what we were looking for. At this time we hadn’t found the HUB for Lomboy wraps at the local weekly market, so our plan was to find these women who rolled them and buy directly from them. One of the women there actually showed us how they roll them using a Bolo Knife, essentially a machete, to curl the leaf. Here is a video of of a woman rolling Lomboy leaves.